Start your mornings off right with the Nespresso Pixie D60 espresso machine. 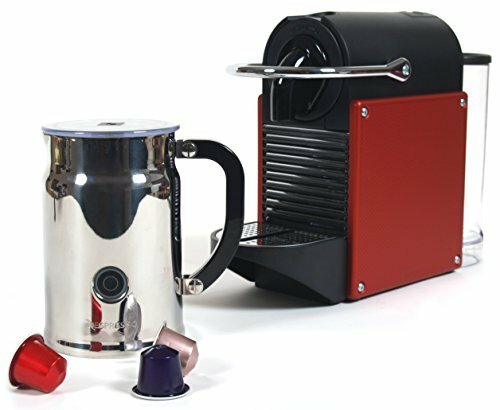 You can enjoy a nice cup of espresso with a touch of one easy button. This machine is quick and easy with no messes to clean up, and can hold up to 10 used capsules before the reservoir needs to be emptied. The water reserve tank can hold up to 0.7 liters and there is even a feature to let you know when water is running low. The machine automatically shuts off after nine minutes if it has not been used, which makes this machine perfect for an "on-the-go" lifestyle. It also includes the Aeroccino Plus, which allows you to easily create delicious warm or cold frothed milk.